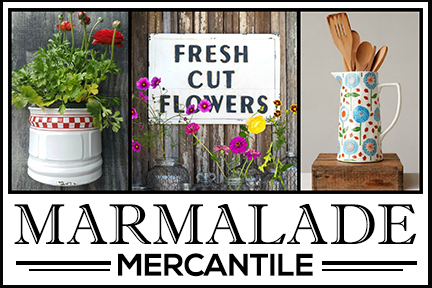 Want to add a little sophistication to your home’s decor without settling for a neutral color scheme? 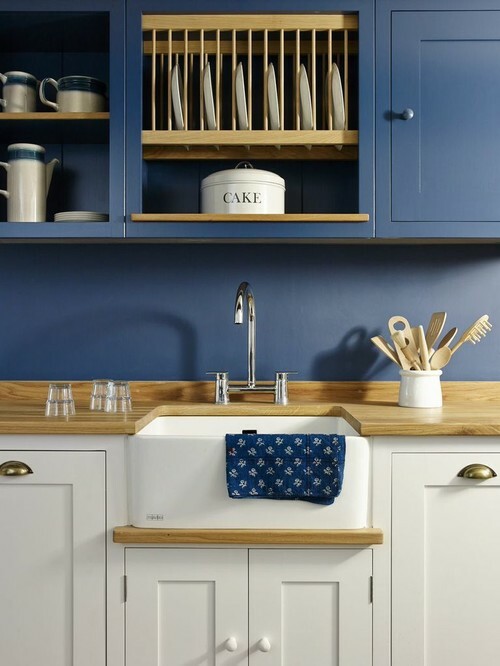 Try decorating with navy blue! 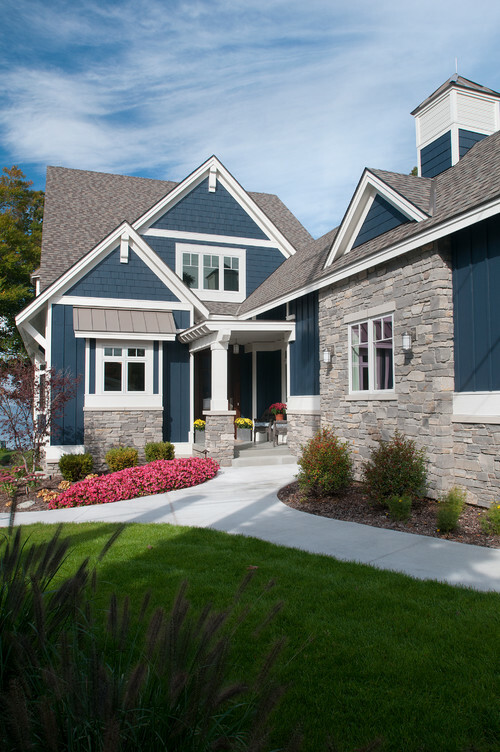 The color adds drama and can stand up to bold colors. 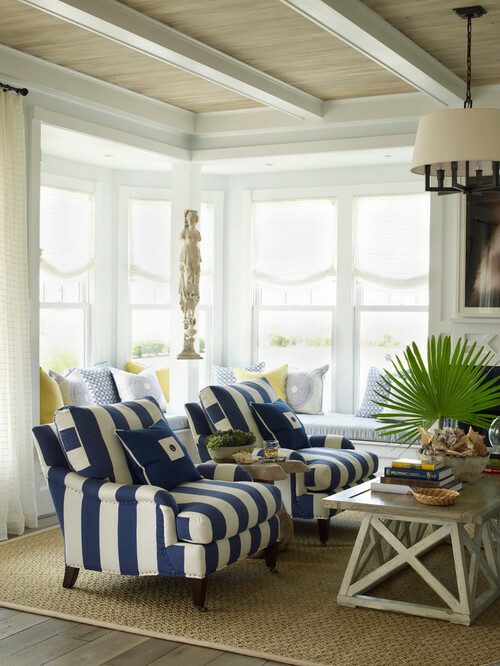 It also pairs beautifully with white, creating a nautical vibe. 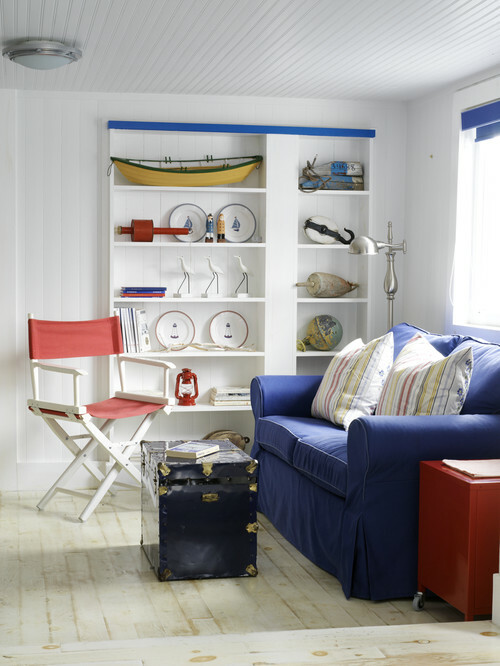 Here’s several inspiration photos for adding cool navy blue to any room in your house. Perhaps the easiest room in the house to try decorating with navy blue is the living room. 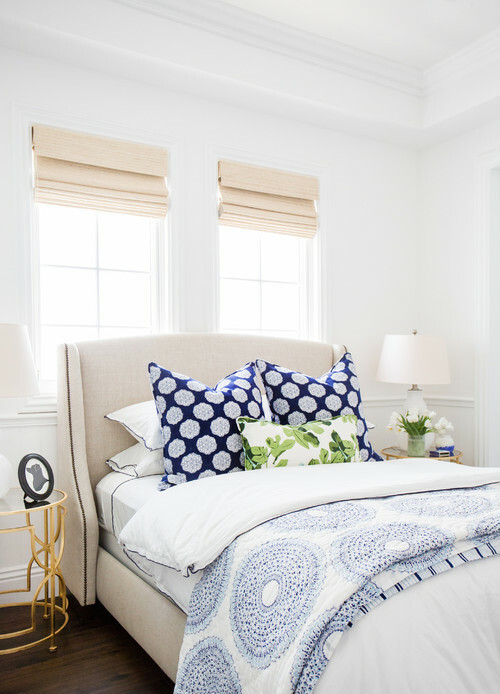 Choose textiles in the cool hue, like slip covers, pillows, curtains, throws, or rugs. Of course, you can’t go wrong with timeless stripes in navy and white. 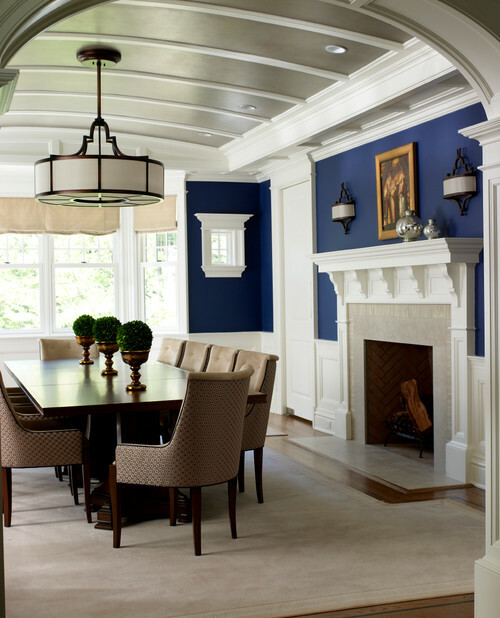 I’ve always thought the dining room is a great place for navy blue. It adds an air of sophistication – the perfect ambiance for a comforting meal. 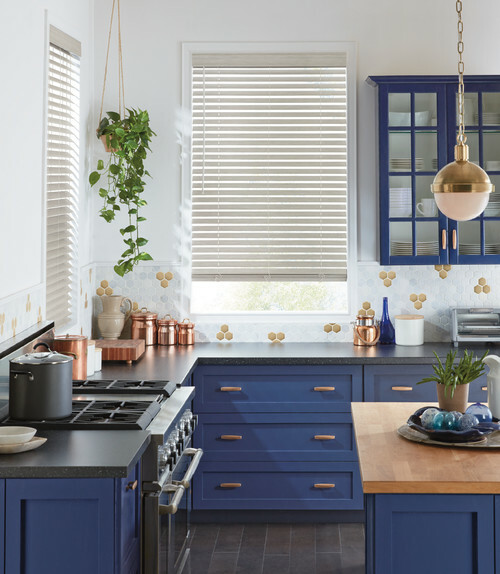 Whether you paint your kitchen cabinets navy blue, or brush the hue onto the walls, you can’t go wrong when you pair navy with white in the kitchen. It can look modern or country! 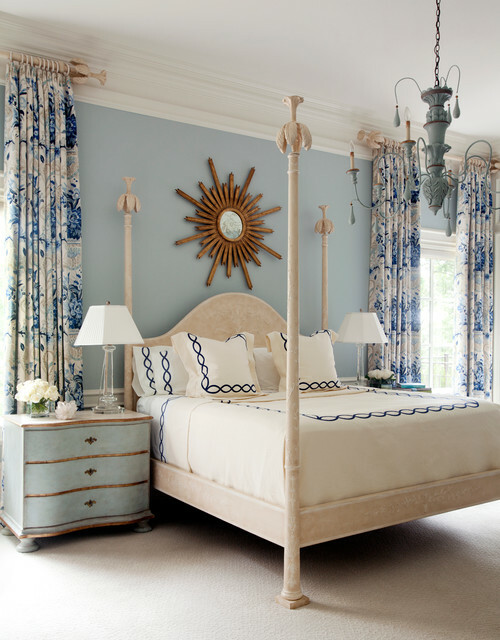 Blue bedrooms are peaceful and restful, but we often choose soft blues for sleeping spaces. 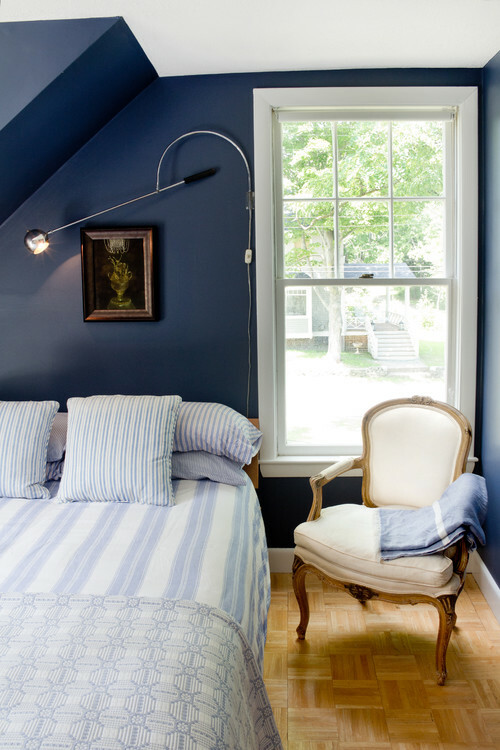 Why not add a bit of navy blue in the form of pillows, or go bold by painting bedroom walls with navy? The result is a cozy space perfect for curling up at night. 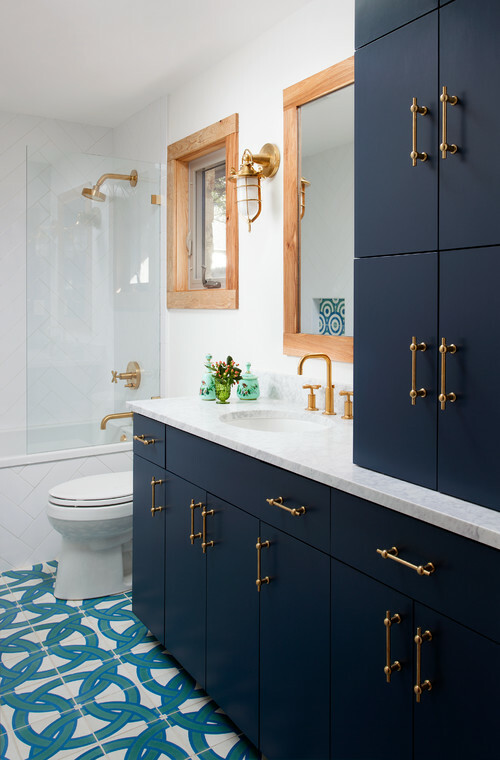 Bathrooms look impressive when navy blue is added to the space. 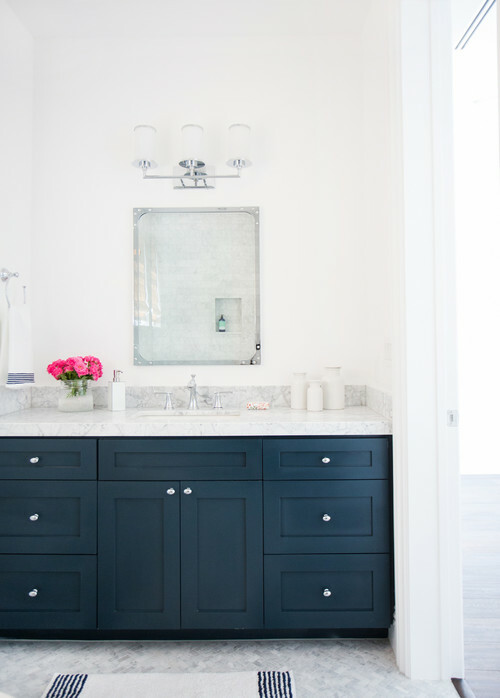 Painting a vanity or bathroom cabinets is an easy way to add the color. 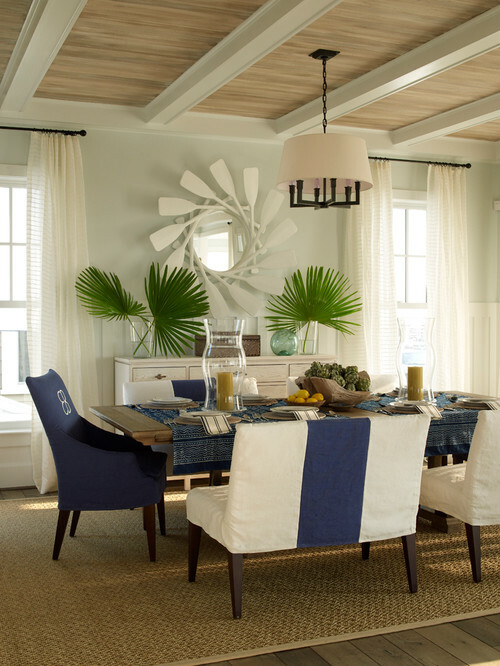 Navy blue is a popular color for sun rooms. 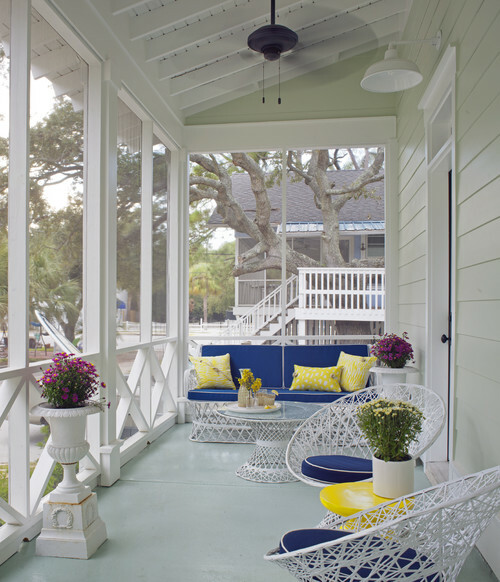 Of course, sun rooms are used primarily during summer when we’re thinking of the beach and anything coastal. 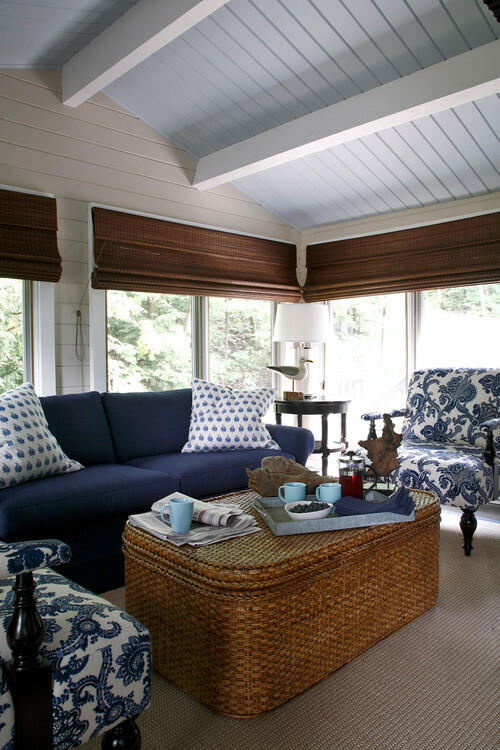 Use just a bit of navy blue for a cottage style, or use more for a sophisticated sun room. 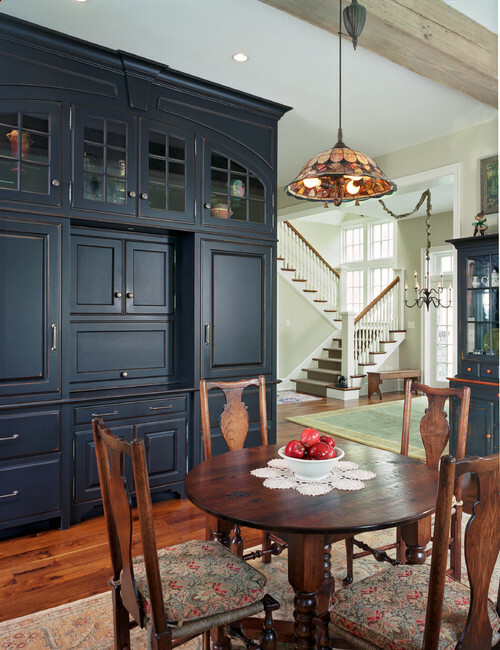 Photo by Lisa Stevens & Company, Inc.
Don’t limit the use of navy blue to the interior of your home. 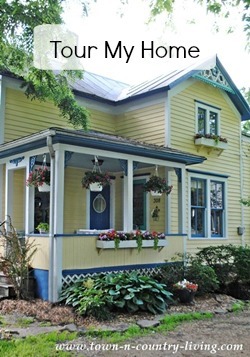 It looks great on the outside of a house, too! 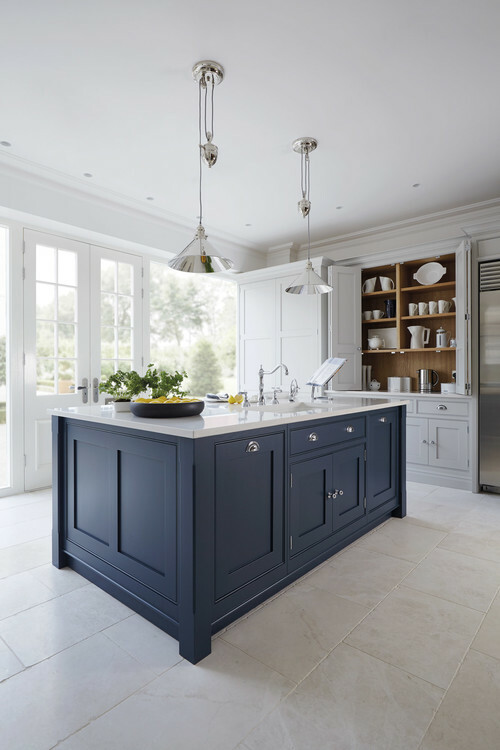 I hope you enjoyed this inspirational post on decorating with navy blue! 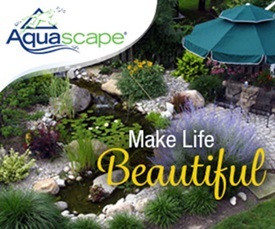 There are so many ways you can add the color to your own home. M y den and guest rooms desperately need makeovers and I have been considering using navy blue somewhere. Now I know I should. Your examples show how navy is a neutral color. I love navy blue whether painted walls or decor, its in my house. 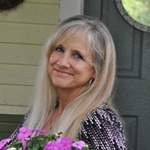 Thanks Jennifer,have a great evening. Every room is fabulous! Thanks for this post. Yes! My colors in my house are navy, burgundy & white. Burgundy is the accent in pillows, candles, etc. I can change to pink, or peach, whatever, because navy blue is such a great “neutral” in its own right. 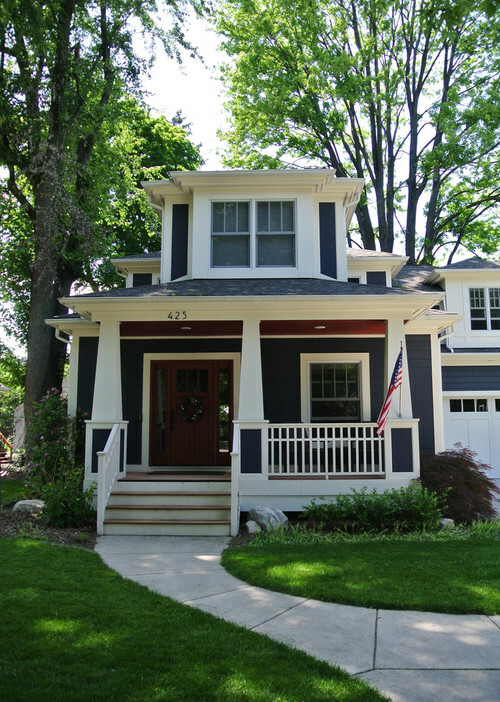 Can you tell me the outside color of the “decorating with Navy ” house. I loved your ideas! I am thinking of buying a navy bed for the guest bedroom of our beach house, and bedding in navy white and cream. The walls would also be a soft cream. What do you think?